contact lenses on April 1st. These are the first contact lenses in the world to use Light Intelligent Technology that darken to adapt to environments with intense light. The lenses are designed to reduce uncomfortable glare and squinting. Our clinic has been selected as one of the first in the world to fit and dispense this new product. 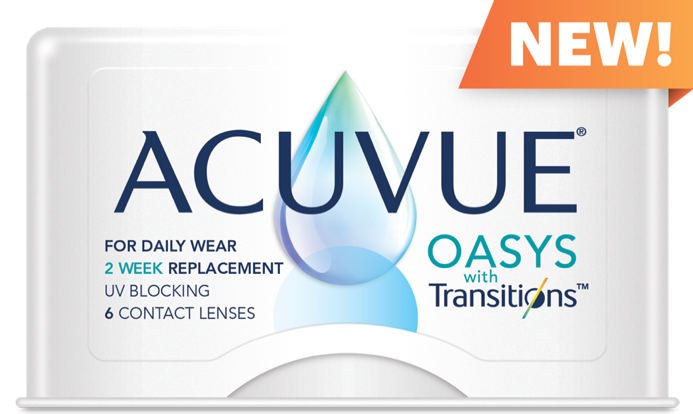 To celebrate the launch, our team is preparing special outdoor events where our customers are invited to try on the new Acuvue Oasys with Transitions lenses. We have partnered with Lone Wolf to let you experience these lenses, on what will hopefully be a sunny day. We wish to invite you to try the Acuvue Oasys with Transitions and hit some golf balls compliments of North Peace Optometry Clinic. with your full name to ensure that we can verify your prescription and have trial lenses available. to guarantee we have your lenses. The first 25 customers to RSVP for the event will also receive a sleeve of golf balls at the event.